Netting is a fun, easy stitch to learn and great for beginners. You can use the same bead count, but different beads and get a totally different look, from fun or casual to elegant or stunning. It works up fast, also. 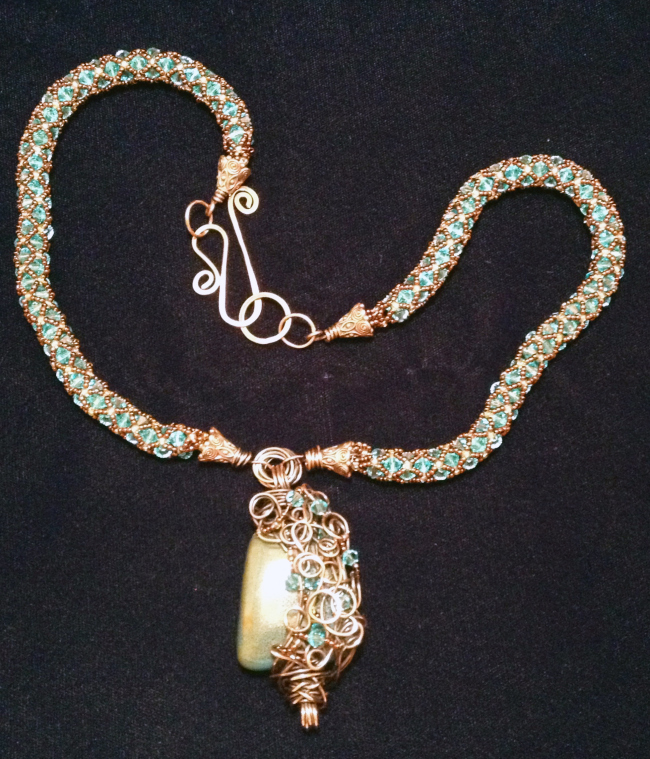 Next time you make a pendant or have an art bead, make a netted rope to set it off. For me, there are few chord patterns that turn out as stunning as a netted pattern. This is not a new pattern in any sense of the word. There are many tutorials already available. So why do another. Simple. It took me an hour to determine for a 4mm Swarovski bicone what beads create the best net. So here is what I decided, and the outcome. This can make a beautiful necklace or bracelet. Netting with The Pip™ Collection! When I was all Kumihimo’d out I started experimenting with how easy it would be to use this petal shaped bead to make beaded flowers and I am happy to give the Pip bead a big tick on this front too. Just six beads connected into a circle gives you a simple flower which you can use alone or to decorate other finished beadwork. I scattered brilliant blue Pip flowers on a silver netted base to create my next piece. If you thought beads were only used to make jewelry, think again. If you can string a few gems on a piece of thread you can create this beautiful netting. Because the design works up and down the object, you need to decide in advance how many diamond sections long you want it to be. The original length will shorten as the beading progresses. You may need to increase the amount of beads in the sequence as you work down the shape to accommodate its width. Netting Stitch is a fast way to build up a beadwork, especially if you’re making a beaded necklace because you can string several beads at a time. 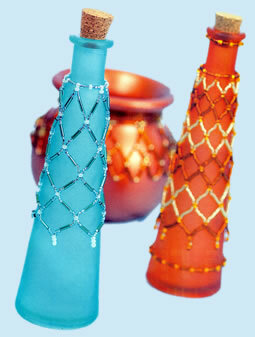 With 2 types of Netting Stitch, horizontal and vertical netting stitching technique is suitable for beginners and beadweaving is easy to follow. 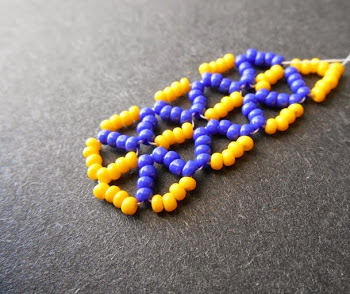 In this video, you will learn how to make a tubular netting stitch bead bracelet. We are sure you will love it! Followed is the detailed instruction. In this video, learn how to do 5 bead flat horizontal netting stitch bead weaving. A beader cannot fail; it is a success to be one.